The 11 Best Flea Markets in Missouri 5 out of 5 based on 2 ratings. 2 user reviews. Missouri, is one of the most happening places in the Midwest and probably in the US when it comes to antiques and flea markets. There are literally dozens of huge antique malls, bustling flea markets, and vintage-themed events tucked around the Show Me State. 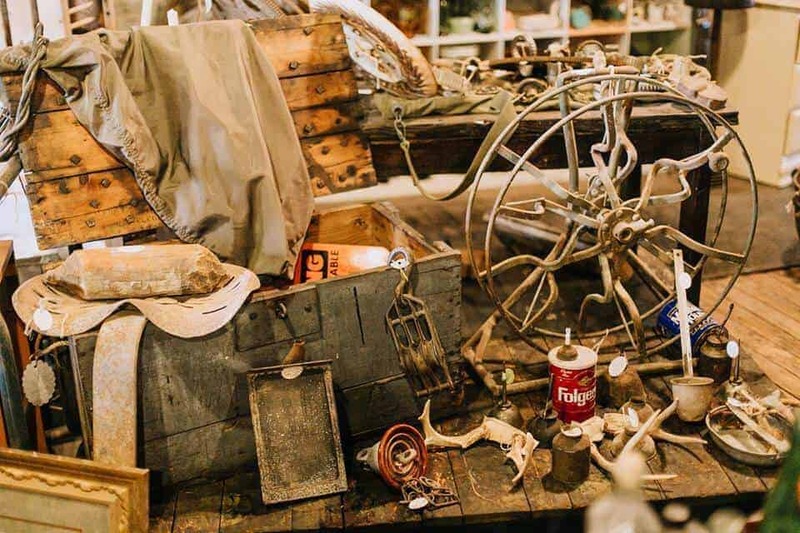 And with so many destinations for antique lovers available, we had to narrow down our list to the best flea markets in Missouri. Each flea market, shop or mall on the list has been picked based on its product selection, variety and what it offers. 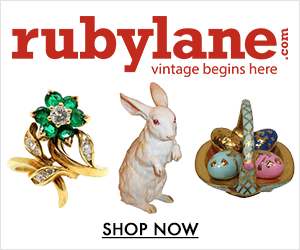 Only antique shops that sell antiques, collectibles and vintage items made it on the list. 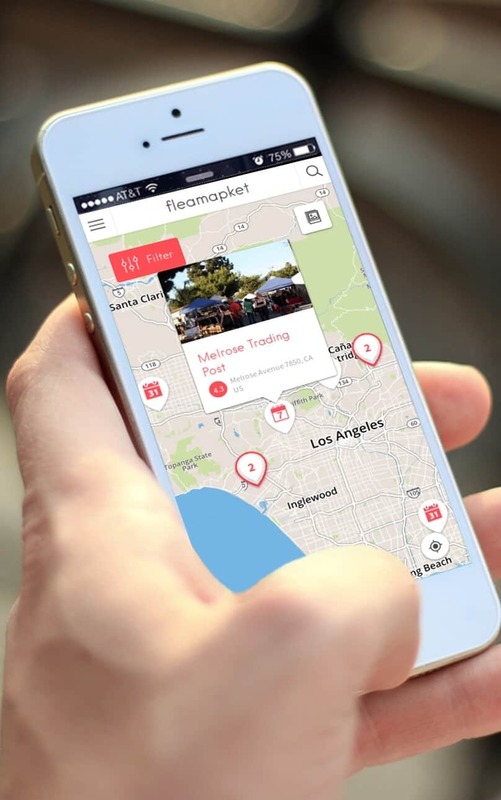 We didn’t include any farmers markets, swap-meets or garage sales to create our curated guide, so you can rest assured that your trip to any of the flea markets and shops featured below will be worthwhile. The area of 45th and State Line Road is full of antique shopping with dozens of stores spanning three blocks. Most are situated in West Plaza, a trendy area of Kansas City, however, some are also across the state line in Missouri. 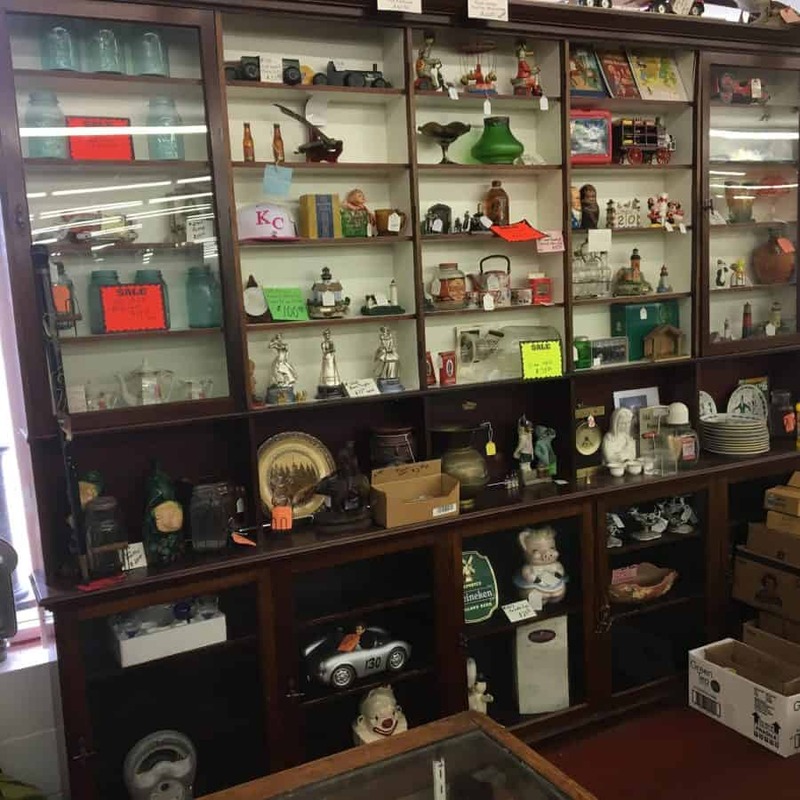 All kinds of antique stores and sellers are represented on 45th and State Line Road, with some huge properties covering many floors as well as smaller stalls, more akin to flea market offerings. And while it may be confusing at first, newbies visiting 45th and State Line Road will find an antique district with shops for every taste and budget. 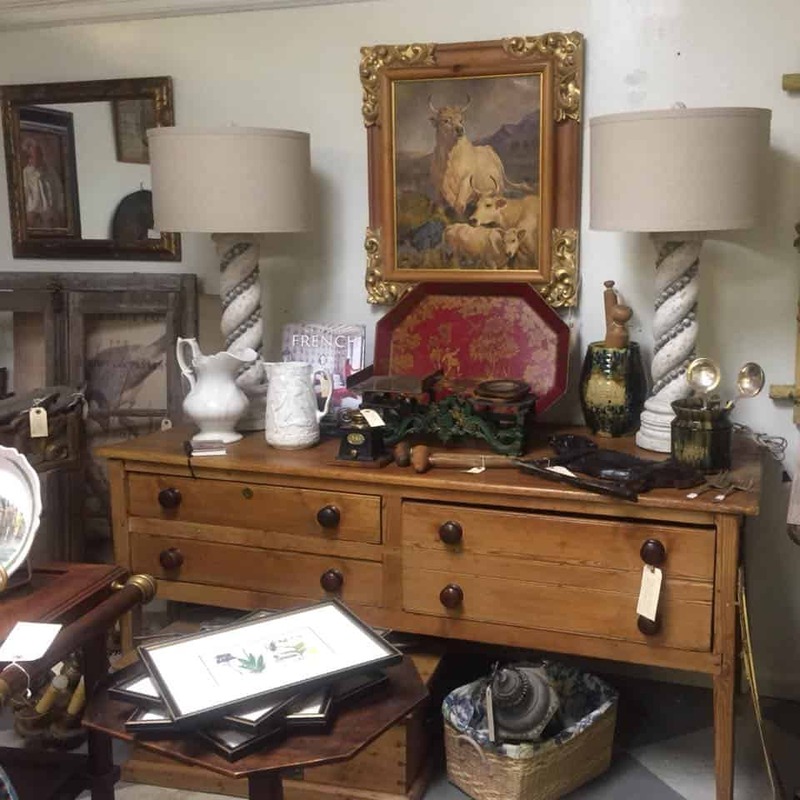 Among them, places like Kincaid Antiques and Interiors , Linda Pearce Antiques, or SID & Co, which carries antiques in European and American designs. Open 5 days a week, SID & Co. is a good place to find antique home furnishings such as lighting, wall hangings, artwork and more. One of the fantastic things about the antique district of 45th and State Line Road is the wide range of items found with so many specialists in different genres. The Knotty Rug Company for instance, is the home for rug lovers looking for an antique or vintage rug. For over 14 years, owner Darrel Wingo has shared his enthusiasm for these beautiful pieces and the first location of Knotty Rug Co. was his garage. Now you can see and purchase these rugs often referred to as a “Oriental rugs,” originating from a variety of places including Persia, Turkey and other locales. If you have a rug that’s in need of a care, they can professional clean it too. The Knotty Rug Co. really loves classic rugs and you can tell through their dedication to the craft. Once a month, West Bottoms, the 12th Street Bridge District of Kansas City, becomes a picker’s paradise on First Festival Weekend for all things antique and vintage. Visitors are invited to stop inside the area’s vintage warehouses to browse during this huge indoor flea market. Many stores display their best goods over these weekends, and the keenest shoppers arrive as soon as stores open on Friday evenings, to increase their chance to find treasures. Visitors enjoy free admission and many weekends the area is packed with deal-seekers and antique lovers. The most promising antique shops in West Bottoms include Bella Patina and its three floors of fabulous antique items, retro goods, and mid-century modern pieces, Bottoms Up Antique Market located in the historic Stowe Hardware Building, one block away from Bella Patina, and Good Ju Ju which has been acknowledged one of the “Best Antique Stores Coast to Coast” by Flea Market Style magazine and voted Kansas City’s Best Antique and Vintage Store three different times. The rotating selection of items plus on-site food trucks, entertainment and the charm of the area makes it a must stop when you’re in Kansas City, plus one of the best flea markets in Missouri. The Mission Road Antique Market was founded in 1994 in Kansas City’s Woolford Farms Stables, once the home of Derby racehorse Lawrin. History still lives on in the property — now in the form of a sprawling 50,000 square feet flea market with over 300 vendors. 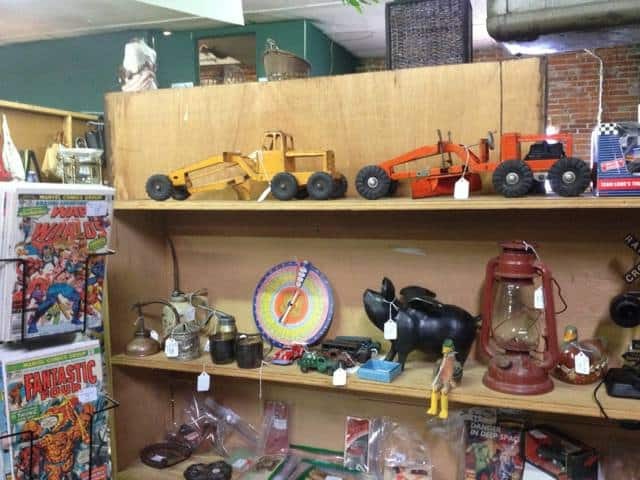 All types of vintage and antique items may be found here, including furnishings, vintage jewelry, pottery, architectural artifacts, artwork, and much more. Be sure you notice each booth as the vendors set up special vignettes or furniture staging to make it look inviting as can be. The market will be relocating to a new space in August 2018, so be sure you visit the current one to see one of the best flea markets in Missouri. After you’ve finished your browsing or if you want to fuel up before you get started, stop inside the on-site Italian bistro Joe’s Cellar for lunch. The Rutledge Flea Market in Rutledge, Missouri has been operating since 1948 and now covers 85 acres of land, opening once a month. Antique and vintage sellers from Wisconsin, Kansas and other areas of the Midwest come to set up shop, selling a full range of antique items. 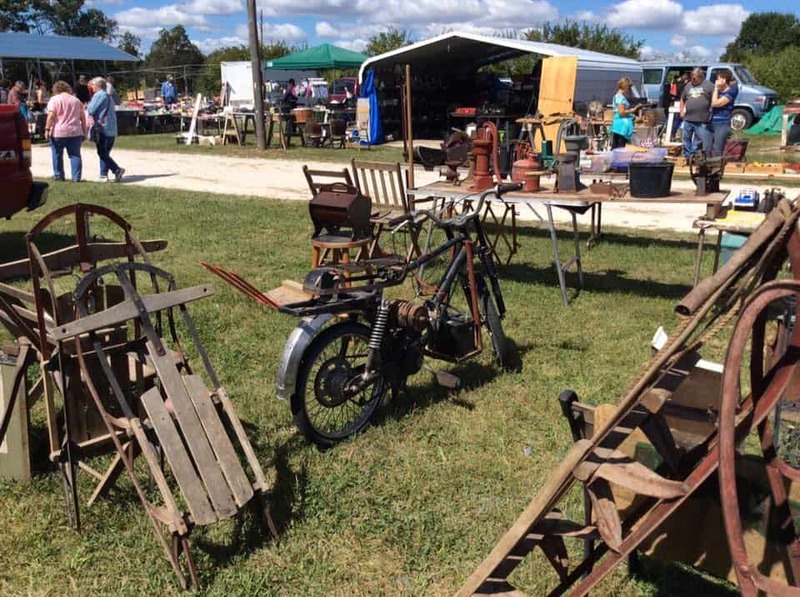 Expect to see antiques, collectibles and other goods at one of the best flea markets in Missouri. Relics Antique Mall is so large it actually encompasses two separate locations, both of which are among the best flea markets in Missouri. The first location Relics Antique Mall of Springfield, Missouri, features 90,000 square feet and over 500 vendors. The Springfield location is the flagship store and has vendors with antique furniture, lighting fixtures, vintage suitcases, artwork and kitchenware. The selection covers all matters of design including farmhouse, mid-century modern and kitsch, so you’re bound to find a great piece — or three! Settle in with a cuppa in the mall’s tea room after you’ve scored the perfect piece for your home. 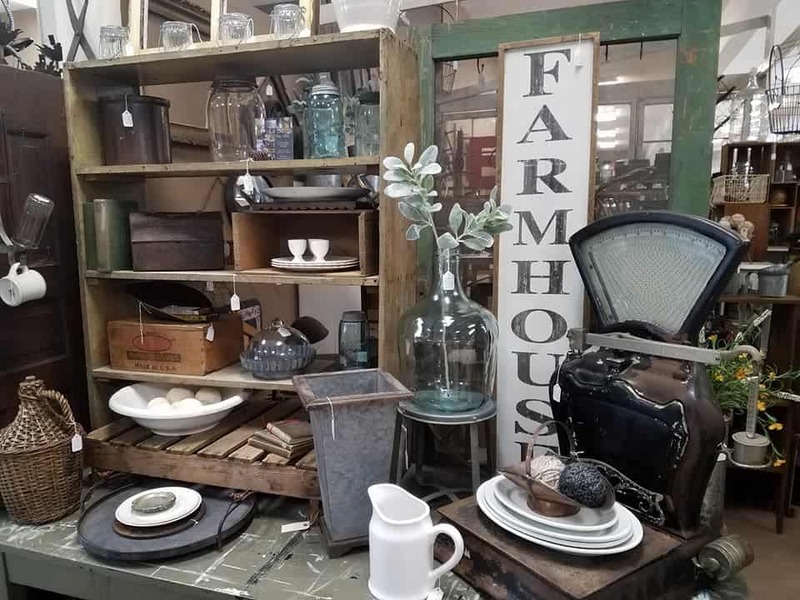 The second location is Relics Antique Mall of Mount Vernon and there you’ll find even more antiques to browse, including bargain-priced pieces. Take a pal along for the journey and bring your furry friend because Relics Antique Mall is pet-friendly. With so much to see between the two buildings, you may need a few days to browse. Fancy Flamingo Flea Market in Joplin, Missouri might be fancy but it’s also fun. Packed with over 300 booths, this indoor flea market is open every day. 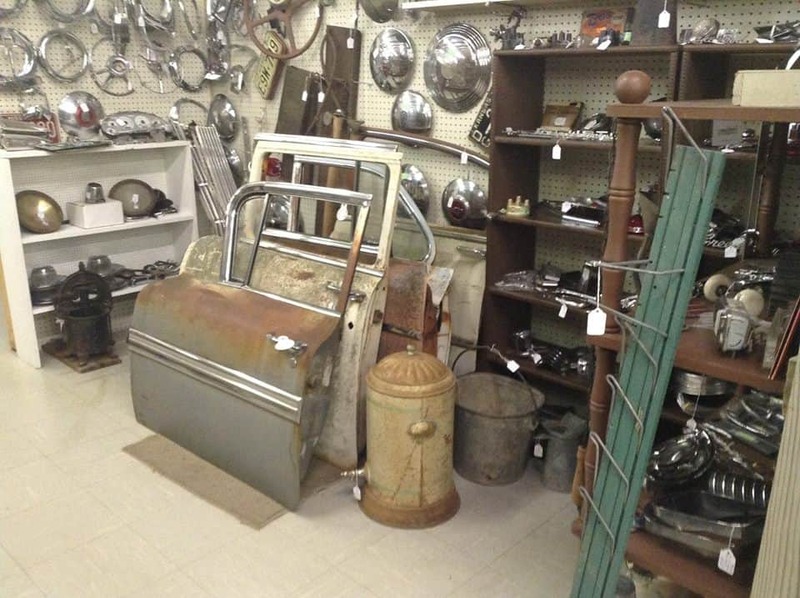 Stop in and browse the large collection of antiques and vintage items on sale, including primitives, glassware, furniture, and all matters of antiques. The selection of merchandise can change from day to day, so it’s always worth a second stop. Travel to the west-central part of Missouri and find your way to Sedalia, the home of the Missouri State Fair to visit the Dollar & Cents Flea Market, one of the best indoor flea markets in Missouri. 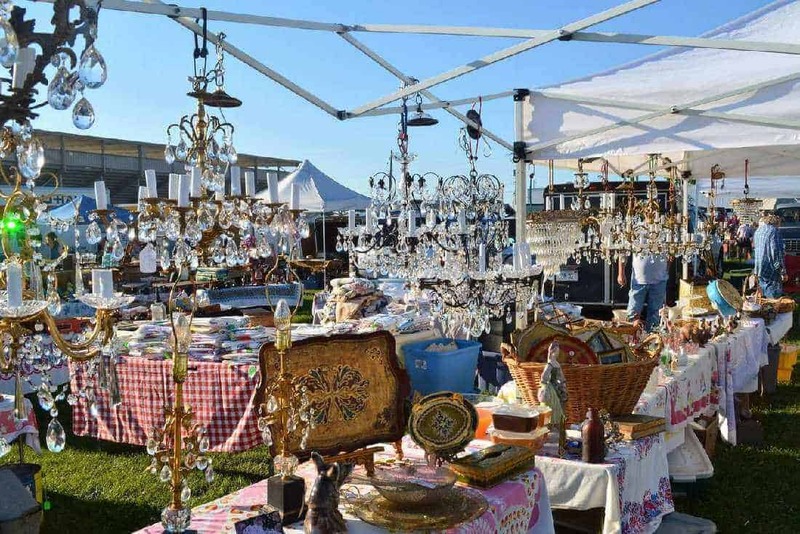 Since its founding in 2012, the flea market has specialized in offering a great assortment of antique furniture, glassware, kitchen items, and other treasures. Dollars & Cents features 40 to 50 vendors and the merchandise on display is competitively priced to sell. 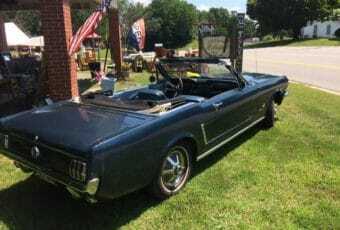 Proudly owned by a veteran, Mike’s Unique Collectable and Antique Flea Market is located in Springfield, Missouri. The market is open till 6pm and has a fun vibe, with the owner cheerfully offering “free 4 day-old coffee” and welcoming small pets, including “dinosaurs.” Parking is easy thanks to the store’s location in a strip mall with an ample parking lot so feel free to browse to your content. 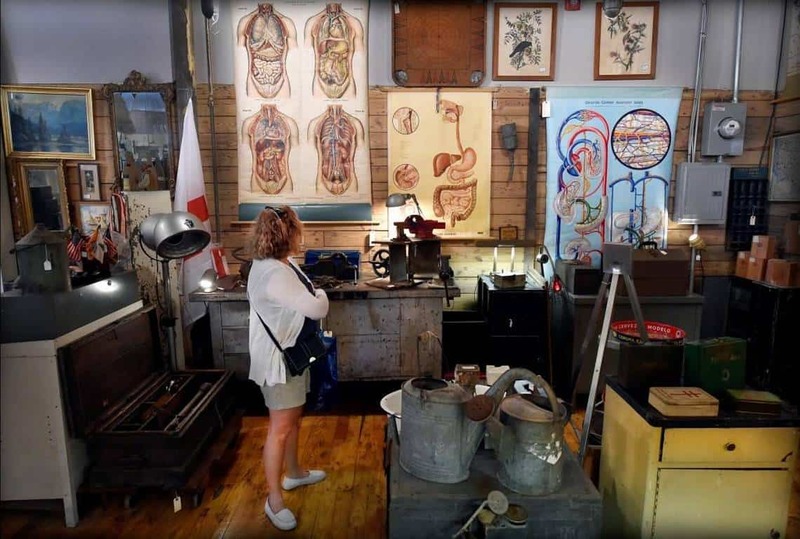 The store includes something for everyone with antiques, collectible coins, primitives, artwork, furniture, and an assortment of other goods. The River Market district of Kansas City, Missouri dates back to 1857 and was the first incorporated district in the city. Over the years the district has flourished with the transformation of its historic warehouses into shops like River Market Antiques. 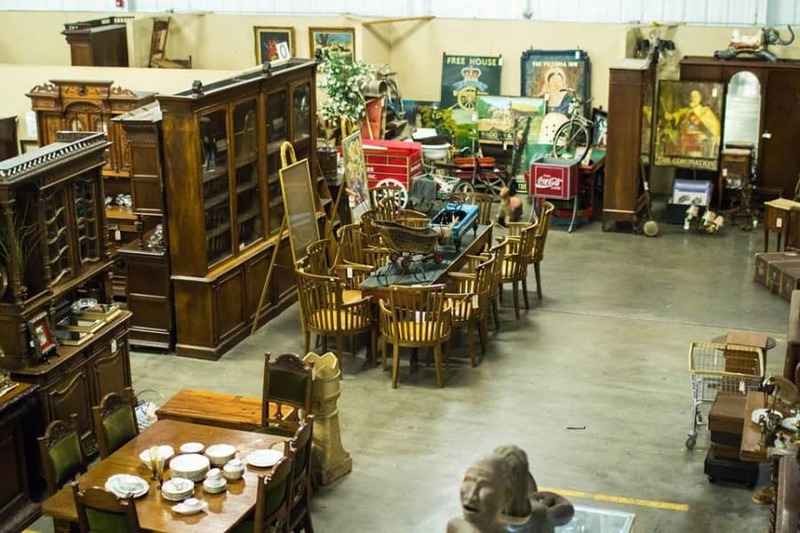 With 30,000 square feet to explore and 4 stories, River Market Antiques has more than 175 dealers with a variety of antique and vintage pieces. The market offers free storage of up to 30 days for any purchased large item or if you’re local to the Kansas City area, you can even enjoy free delivery of most pieces based on your location. It’s easy to find River Market Antiques — just look for the large mural of Lewis and Clark and you’ll be at one of the best flea markets in Missouri. Parkville Antique Mall and its sister store La Bottega Vintage Market are located right down the street from each other. 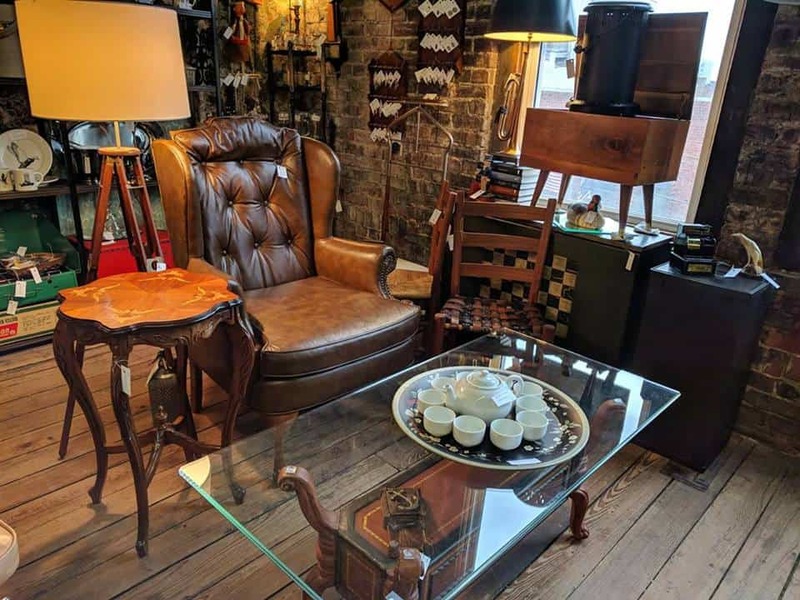 Each store has a wide selection of antique and vintage merchandise including postcards, photographs, furniture, linen and even Christmas decor. Both shops are open 7 days a week in Downtown Parkville, Missouri. 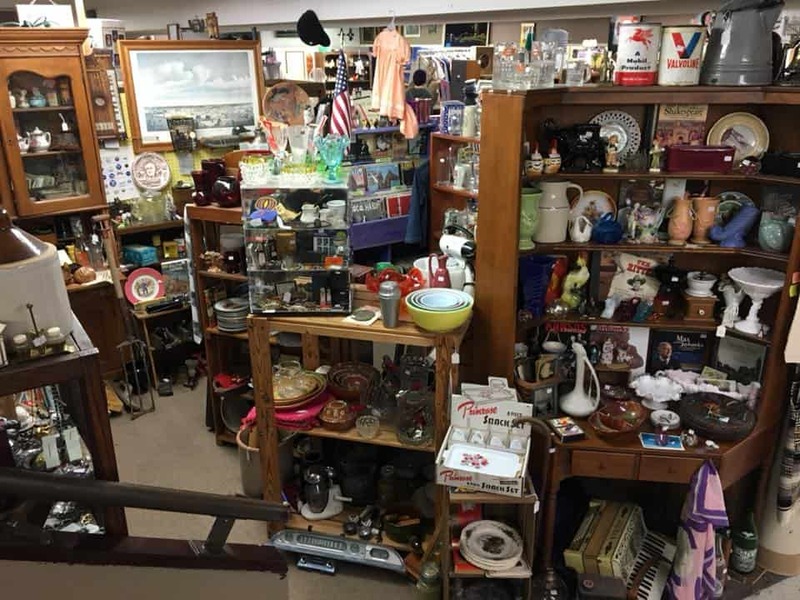 Over 75 sellers with retro and antique items can be found in Lawrence Antique Mall in Lawrence, Kansas, located 40 minutes outside Kansas City. The two-story building is packed with booths and display cases of hundreds of items. Expect to see antiques such as memorabilia, artwork, furniture, clothing, books, toys, sports equipment and more. The shop is open year-round daily. 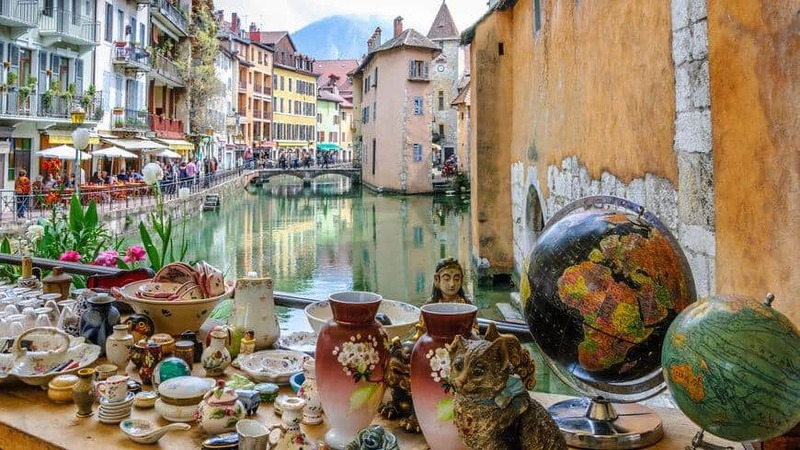 A trip to the flea market is a journey in its own and a fantastic opportunity to meet new people and enthusiasts who share the same passion for rummaging and haggling. We hope this review inspired you to discover one (or all!) of these flea markets, and that you’ll share your experience with us. 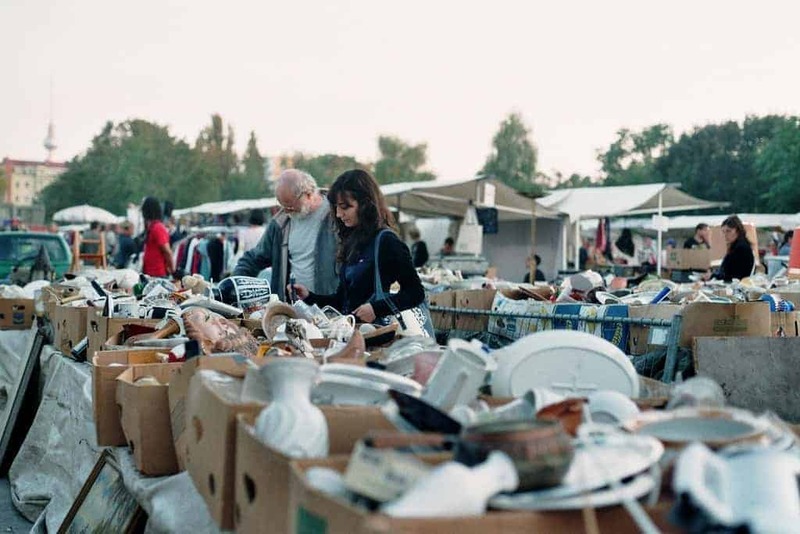 As always, if you think that a flea market is unrighteously missing from this list, just drop us a line in the comments section below.